Hardtner Wealth Strategies reflects the life and business experiences of our firm’s founder, Quintin Hardtner. Quintin was a serial entrepreneur who, like so many of us, became caught up in his work and lost sight of planning for his financial future. Over the course of two decades, Quintin established a pattern of success in business, until one day one of his companies hit a major unforeseen obstacle, and he was forced to walk away from it. The failure of the business was a wake-up call to Quintin. Painfully, it taught him the risks associated with putting all of your eggs into one basket, rather than engaging in thoughtful, systematic and strategic planning for the financial future. It occurred to Quintin that many people are unaware of the financial threats, conflicts and contradictions in their financial life, blindly saving for retirement without any thought of how they will turn those savings back into income down the road. 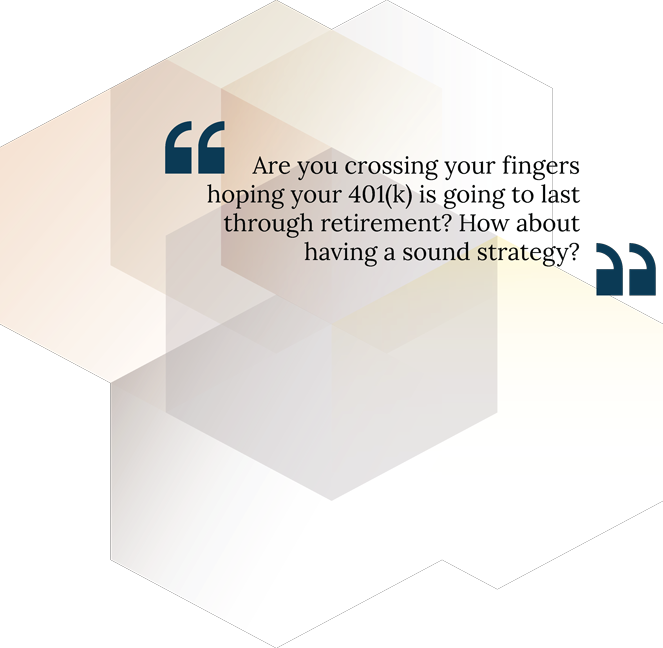 As he re-assessed and redesigned his own financial situation, he realized that taking a more strategic approach to wealth building was far more effective than chasing rates of return and hoping for the best. Quintin decided he would help others do the same. Hardtner Wealth Strategies was founded on the belief that helping clients develop sound financial strategies not only creates greater economic clarity, understanding and confidence today, but also results in greater, more efficient income streams in the future, reduced financial anxiety, and the freedom to focus on what matters most.